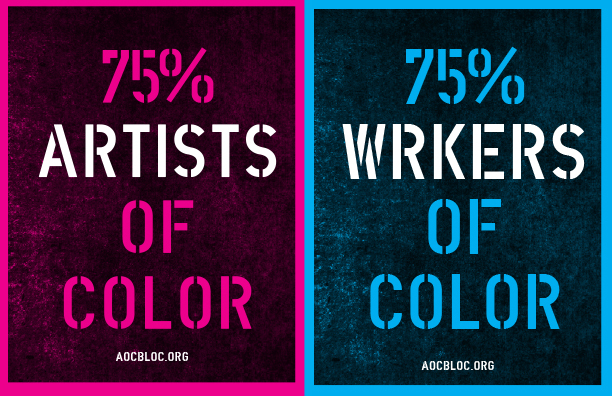 Next Saturday, Artists of Color Bloc will be hosting a dinner for the very last installment of Open Engagement 2018. For this intimate dinner we have invited special guest to update us on: museum diiversity plans as mandated by Department of Cultural Affairs, funding and empowerment for the arts in communities of color, and the potential for developing state legislation to help eradicate racism from employment in the NYC’s cultural institutions. Special guest will include cultural workers from NYC Museums, Community Artists and Supporters, Equity Consultants, and NYS legislation officials.